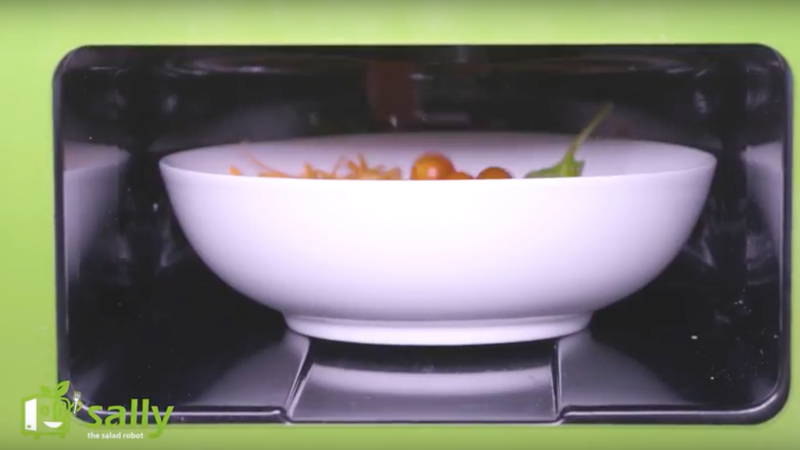 Silicon Valley startup Chowbotics, which develops robots for food services, is out with Sally the Salad Robot — a machine that stores chopped veggies and churns out made-to-order salads, per NYT. Against protests by chefs that Sally will kill jobs, inventor and founder Deepak Sekar asserts that the robot will create new positions, for example to maintain and clean the machines. Why you'll see this again: Whatever the potential impact on jobs and society, Silicon Valley robotics startups are attracting large rounds of capital. Chowbotics has raised $6.3 million in venture capital, and Zume, a company offering robot-made pizza, recently raised $50 million.